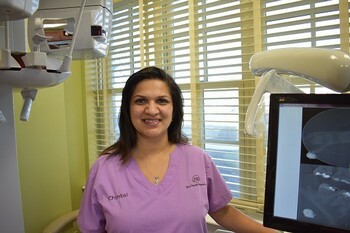 Wanda Minguez was a chairside assistant for several years at another endodontic practice before joining Lower Gwynedd Endodontists at its founding.Currently Wanda is primarily our front desk person, she makes appointments, helps patients with insurances, she is well organized and efficient. 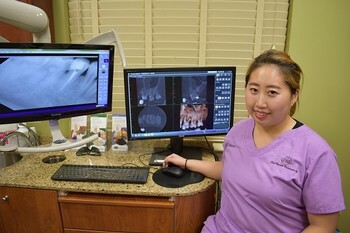 She is very glad to help guide patients through endodontic procedures. Wanda is married and has a daughter Danielle and two dogs. She likes cooking ,gardening and enjoys her dogs. Chintal has been working with Dr. Greenfield since 2012. 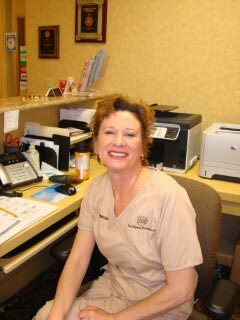 She is an experienced side chair dental assistant. Chintal had further training for microscopic dental assistance at the University of Pennsylvania . She is very well organized and takes care of the supplies as well. She has a son, Vishum and enjoys family, traveling and cooking traditional food. Chloe has been working for Dr. Greenfield since 2014. She was trained at the MBIT school for dental assistants. Chloe is very knowledgeable with computers. She was also trained at the University of Pennsylvania for Microscopic Endodontic Surgery assistance. She is friendly with patients in need. Chloe enjoys traveling, music and international cuisine.